Do you have a scorpion pest control problem in your home or at your place of business? Dry heat and high temperatures create the perfect habitat for a wide range of species of scorpions, particularly the Arizona Bark Scorpion. This scorpion is common in our area and by far the most venomous type of scorpion in North America. It is distinguished by its long, slender tail, or metasoma, and its tan color. While they tend to reside in rocky desert areas and in and around tree bark, it is not uncommon to spot them inside your home. If you do, it is important that you call a local extermination company that has experience with scorpion pest control. Scorpion removal is not a job you want to tackle on your own. The sting from any scorpion can be painful and serious, and a sting from an Arizona Bark Scorpion can result in painful swelling as well as shortness of breath and muscle spasms. We at Arizona Organic Pest & Termite Control have years of experience dealing with scorpion pest control, and are committed to being by your side when you need us most. We know what an important role our services play in your safety and well-being, which is why we strive to provide you with fast and reliable service. Besides the Arizona Bark Scorpion, there are other types of scorpions that you should be aware of. To the untrained eye, different types of scorpions can look very similar in appearance. This is a common scorpion in our area and is recognized by its long tail, dark stripes, and yellow color. This is the largest type of scorpion found in the United States, and can be identified by its dense hair coverage. This type of scorpion looks very similar to the Arizona Bark Scorpion, except that its tails is thicker in diameter. A scorpion infestation usually goes hand-in-hand with another type of infestation, like crickets or spiders. Scorpions make their way into homes through cracks and crevices around the outside of your home. Glue traps can be effective at trapping scorpions in their tracks. 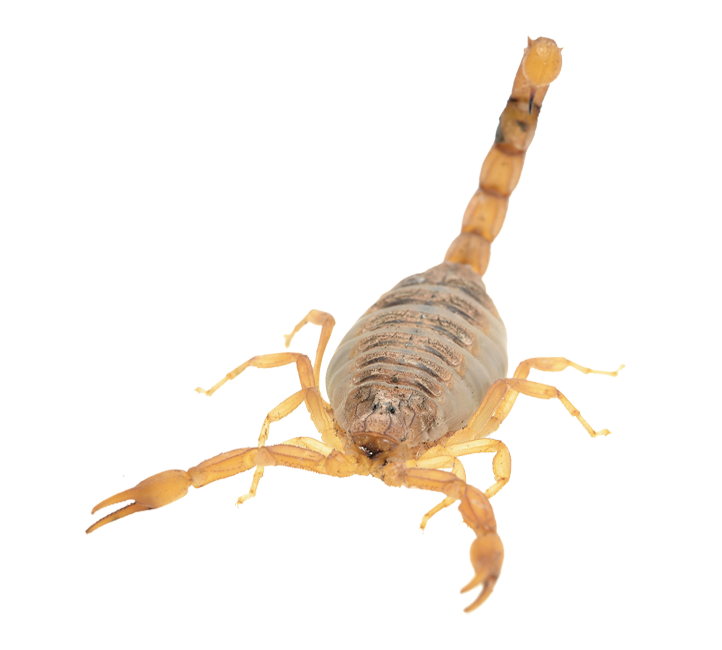 To learn more about scorpion pest control and how to eliminate them safely, contact a Arizona Organic Pest & Termite Control specialist for a free assessment.